Until the early 1970’s, consumers had no way to distinguish between incompetent and competent auto technicians. In response to this need, the independent, non-profit National Institute for Automotive Service Excellence (ASE) was established in 1972. At present there are about 420,000 professionals with current certifications. They work in every segment of the automotive service industry: car and truck dealerships, independent garages, fleets, service stations, franchises, and more. Here’s how ASE certification works: Prospective candidates register for (and take) one or more of ASE’s 40-plus exams. The tests are grouped into specialties for automobile, medium/heavy truck, truck equipment, school bus, and collision repair technicians as well as engine machinists, alternate fuels technicians, parts specialists, and collision damage estimators. Upon passing at least one exam and after providing proof of two years of relevant work experience, the test taker becomes ASE certified. Certification, however, is not for life. 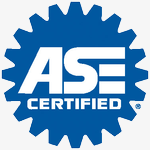 To remain certified, those with ASE credentials must be retested every five years. ACT, known for its academic and occupational testing programs, administers the tests. They are conducted twice a year at over 800 locations around the country. The exams stress knowledge of job-related skills. They’re not easy to pass; approximately one out of three test takers fails. 2. It is a valuable yardstick by which to measure a repair facility’s commitment to quality (by employing ASE certified technicians). Consumers should look for facilities that display the ASE Blue Seal of Excellence logo on outdoor signs, in customer waiting areas, and in other advertisements. I-CAR has adopted a concept we call Outward Vision. This concept is driven by the need to define the Ideal State of the Collision Industry relative to technical training. That every person in the Collision Industry has the necessary technical knowledge and skills relevant to their position to ensure a complete and safe repair. I-CAR continues to develop and deliver technical training programs to professionals in all areas of the Collision Industry. Furthermore, I-CAR provides a communication forum for anyone interested in proper collision repair. Finally, that I-CAR’s primary funding is derived from student tuition and services, insuring that I-CAR can remain unbiased in developing courses and services on an industry-wide basis.